I am not an Android veteran who can brag to know it since G1 days and switched to it for good about 2 years ago. I still remember my mouth watering when I saw Nexus One advertisements with those animated colorful lines on the homescreen. Being a long time Symbian user, it just sounded fantastic to me. 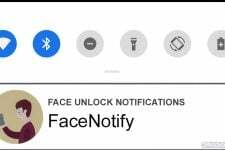 For a long time, Android is the only operating system for mobile devices that support such backgrounds with animation, responsiveness and cool effects, but now Apple has also brought this feature to iOS 7 and it is dubbed as “Dynamic Wallpaper”. 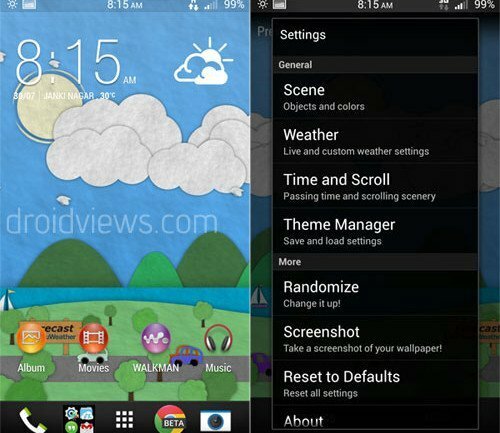 Live Wallpaper feature was introduced in Android 2.1. Contrary to the traditional static wallpapers, live wallpapers are more of an app that utilizes various functions of like OpenGL, network, GPS, etc. to give you richer, animated and interactive background on your device’s home and lockscreen. If you like live wallpapers and want to have a collection of some really great ones, we have just made a hand-picked list for you and hope you like them. 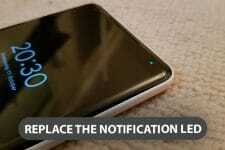 So here goes our great list of some of the best live wallpapers for Android devices. Please note that the LWPs listed below are in no particular order and therefore, it should not be seen as a countdown of live wallpapers. The Minima Live Wallpaper brings Material design and fascinating effects right on your phone’s home and lock screen. 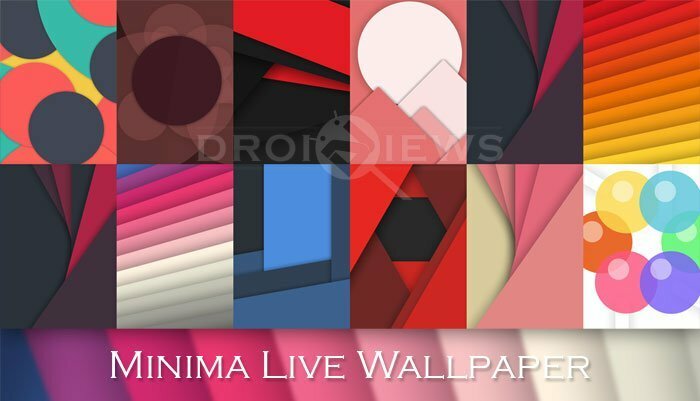 Minima Live Wallpaper comes with no less than 61 materially designed beautiful backgrounds with a range of effects like tilt and shift 3D parallax motion as you move and scroll your device. 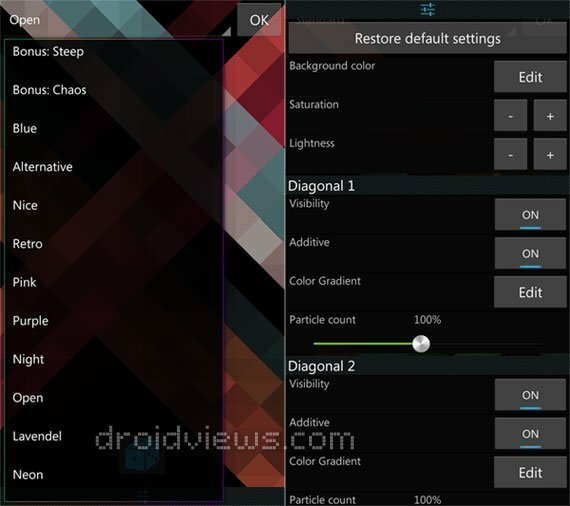 Further, customize the color of the shapes used in the wallpaper and edit the X and Y angles of the color stripes and scale them to your preference. Minima is available as free and paid versions at the Google Play Store. BLW aka Beautiful Live Wallpaper is my new personal favorite. 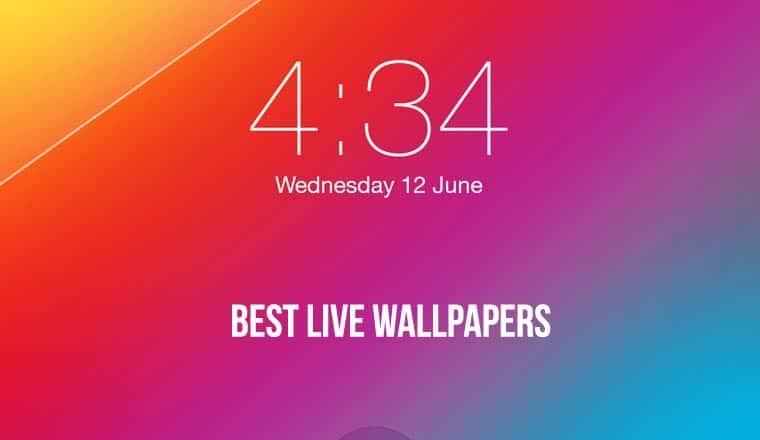 If you love graceful abstract designs with awesome animation effect, you can’t help loving this live wallpaper. BLW comes with a bunch of presets and also offers options to make your own design with the help of free and premium elements. In my opinion, it’s probably the best live wallpapers available currently at the Play Store. Origami is my favorite live wallpaper. It’s a premium LWP that fully justifies its price. 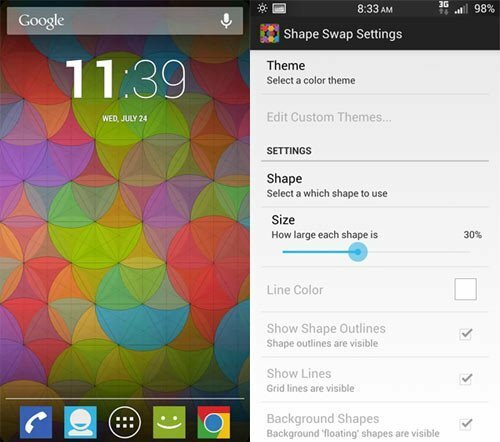 The live wallpaper shows colorful, constantly fading and highlighting rhombs on your device screen. It comes with nine different themes and 62 customization options that let you personalize every element to get the desired look. Origami offers a huge range of presets to choose from. Besides, you can also personalize the transparency, color gradient and count of particles in the ribbons. I highly recommend this live wallpaper. It’s simply gorgeous! Shape Swap is my favorite live wallpaper because of its minimal look and little details and endless possibilities. The LWP generates high-quality geometric shapes with amazing graphic beauty. The speedy animation with which these combine and form new wholes is simply captivating. It allows you to choose from preset shapes like circle, triangle, square, pentagon, hexagon, etc. and apply one of the four themes this live wallpaper come with. Besides, you can also customize the size of the shapes and the color combination. 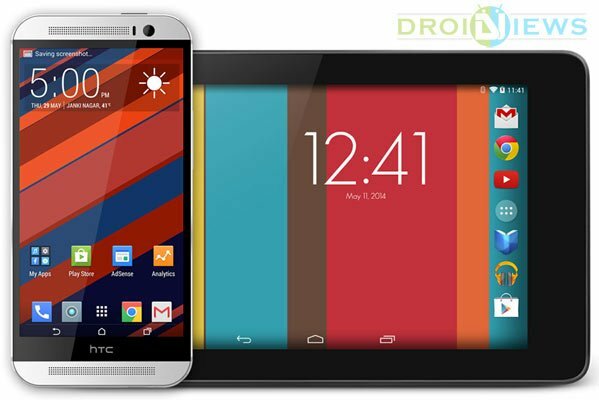 It’s a must-have thing for those who want the ultimate live wallpaper with a refreshing look. Every Stripe Live Wallpaper is another cool live wallpaper with an elegant look. 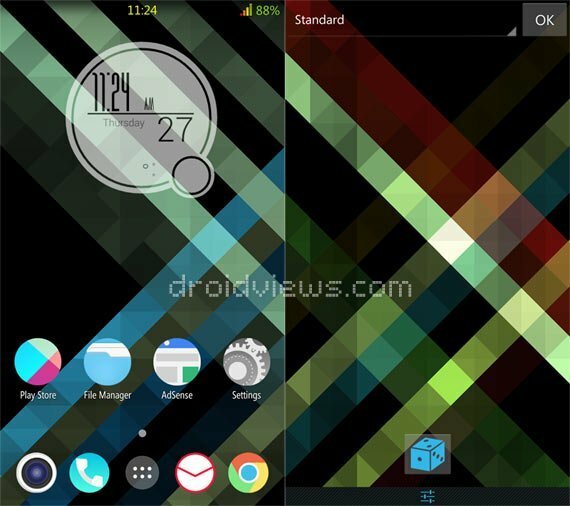 The live wallpaper displays colorful stripes on your device’s screen that can be customized in various ways. If you love minimalistic beauty, you would love this live wallpaper with cool animation. Ditalix is not just one live wallpaper but a whole suite of wallpapers with cool animation effects that make your device screen beautiful and alive. It has a number of presets to apply but it also allows you to choose a custom wallpaper on which a specific effect is applied. You can easily customize shapes, animations and glow effects to suit your taste. Paperland showcases gorgeous paper cut-out landscape with various other objects that move and animate across your phone’s screen! The paper-cut designs look stunning and the background and objects change automatically according to the time of day. This beauty live wallpaper has a handsome set of options for customization. You can change objects and colors, configure live weather, choose from a range of free and paid themes. 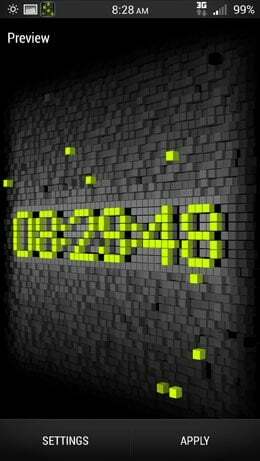 Pixelation is another amazing live wallpaper for Android devices. It shows an animation effect on the floating grid of multicolor small and large pixels. It gives a unique look to the screen and by playing with the live wallpaper options, you can make it more enjoyable. This beautiful interactive live wallpaper is available in free and paid versions and can be downloaded from the play store. 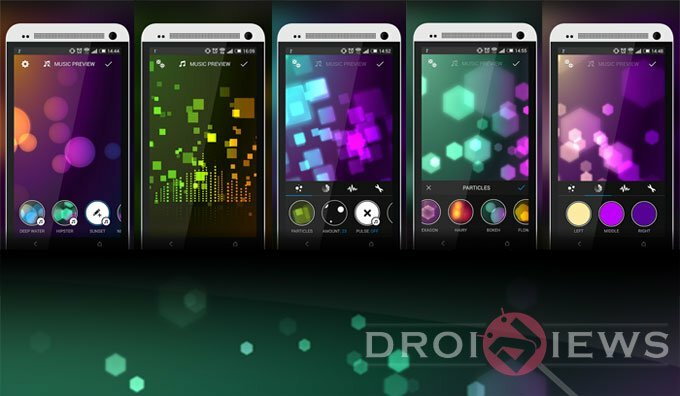 As its very name alludes to, Symphony of Colors is a spectacular live wallpaper that brings your phone’s screen to life with amazing animation effect. It’s very lightweight and minimal in style and depends on coding rather than graphics for the magical effect. 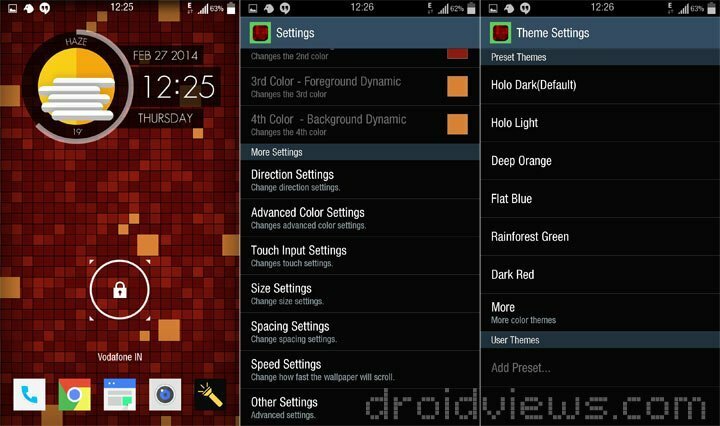 The free live wallpaper comes is fully customizable and has a settings screen where you can define colors. 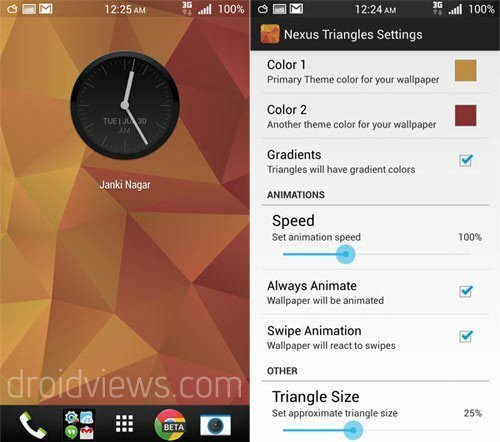 Another decent live wallpaper that deserves a place in every Android device is the Nexus Triangles LWP. Originally based on one of stock wallpaper from Nexus devices on Android 4.2, it adds a new dimension to that background with 3D effects and beautiful interactive animation. The colors of the triangles can be changed and their size can be rescaled as per the preference of the user. Besides, you can also have control over the speed of animation and battery usage. The LWP also lets you save different profiles so that you can switch between one style to another quite easily. Vortex Galaxy is a beautiful live wallpaper for Android. A simple animated wallpaper that displays colorful galaxy. It is available for free and is ad-free. The options for customization are limited but you will still be able to toggle animation and appearance of certain elements. 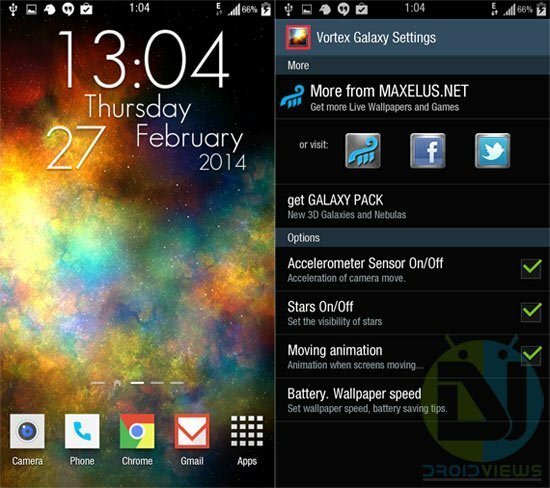 Vortex Galaxy is a battery-friendly live wallpaper. 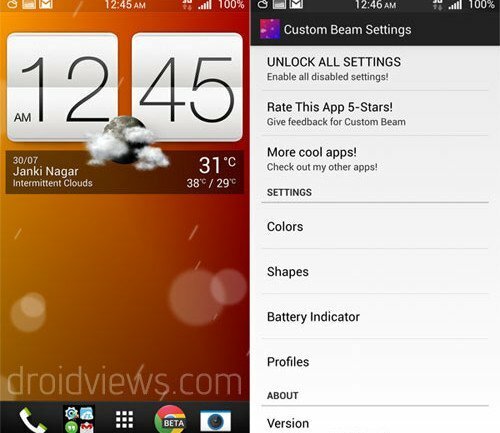 You must have used the Phase Beam wallpapers as it comes preloaded most Android devices with Android 4.0 and up. 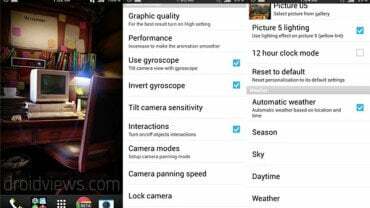 The Custom Beam live wallpaper is just an expanded version of its original counterpart and is laced with a lot of settings options for personal configuration. It lets you change the colors shape of the beam and gradient angles. You can turn on battery monitoring by enabling the indicator and save custom profiles for different configurations. If you love 3D graphics, you’ll surely love My Log Home iLWP. This is one of the most customizable live wallpapers I have ever seen. It shows eight scenes of a home situated in a remote natural landscape and yet laced with some modern electronic appliances and gadgets. A dream home with the warmth of a fireplace and a window looking to the mountains. Every item shown on the screen seems to be rendered wholeheartedly giving the screens a soul of its own. At each swipe on the screen or page change, the scene changes and the use of motion and gyroscopic sensors further make it more live. It is a paid live wallpaper that pays you back for every single penny and cent spent on it. It interacts to your touches- tap on the TV or computer monitor and it turns on, tap on the lighting objects and they glow more brightly, tap on the sofa and it moves a bit, tap on the window and it opens a little. My Log Home iLWP is a live wallpaper where every object is alive. What makes this LWP more lovable is the wide array of options to customize every bit and byte. I love playing with it and am sure you will fall in love with it too! Fresh Leaves is an amazing live wallpaper that brings nature live to your phone’s screen with beautifully and realistically animated leaves. The background changes itself with the time of day and the way it interacts as you move the device gives it a 3D view. This premium LWP comes preloaded with predefined themes and lets you customize background type and speed of animation, type of leaves and various other aspects. Our next selection is an amazing live wallpaper which features hundreds of tiny interactive 3D cubes that float on your device’s screen and form themselves into various shapes. It is called Cube City 3D and it shows a digital clock with hour, minute and seconds that look simply stunning. As for customization, you can change the color of the background and of the floating cubes. So, here ends our little list of some of the most beautiful live wallpapers for Android devices. We have some more things in mind that can be added here but we’ll do that later. If you know about a really cool live wallpaper that we have missed to list here, please let us know. Cheers!